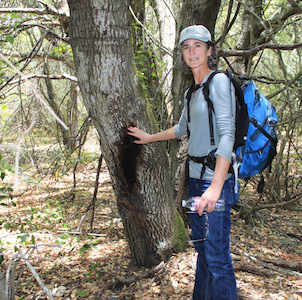 Typical days includes phone calls, emails, and field visits with landowners or land managers with symptomatic trees, who think they may be losing an oak, or several, to sudden oak death. I talk with them about the conditions, the probability, and what management practices they can use to reduce the likelihood that their trees will become diseased. I like it when I am able to tell a landowner that they DO NOT have an SOD infection. I love to see the big, beautiful oaks, to study Sonoma County forests, and to work with others who want to preserve healthy forests and woodlands. Sudden oak death brought me here. I worked with the disease with the UC Davis Pathology Laboratory and with the US Forest Service before coming to UC Cooperative Extension. Here's to another 100 years of science and service!